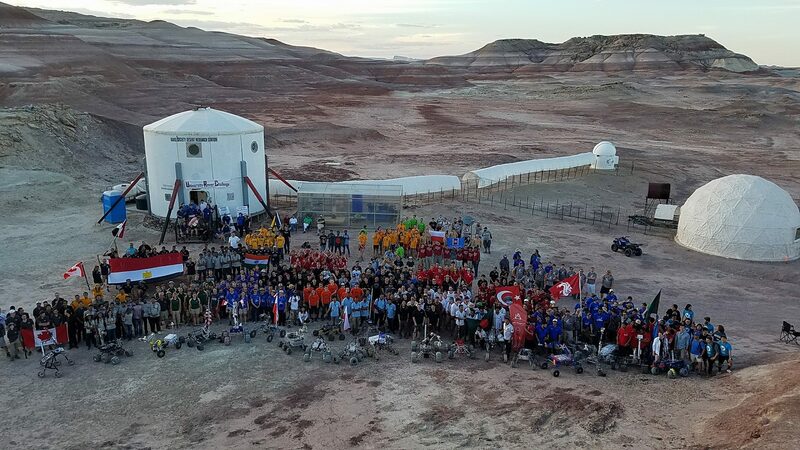 After the most competitive System Acceptance Review (SAR) milestone in the competition's history, 36 teams from 10 countries have been selected as finalists to compete at the 2019 University Rover Challenge (URC), held May 30 - June 1 at the Mars Desert Research Station (MDRS) in Utah! In each of URC's 13 years, the student teams have continued to innovate and challenge each other to build the most advanced Mars rover possible. The SAR is a competitive milestone in which teams' scores are compared, and only the top 36 teams advance. In 2019 an astounding 53 teams scored above the qualification standard from the previous year. Teams will now spend the next two and a half months refining their rovers and conducting advanced testing to prepare themselves for the field competition in one of the most extreme and Mars-like environments on Earth!